This modest Maui Vacation Rental has breathtaking views surpassing all expectations. With a gentle breeze blowing, unwind by the ocean-front pool or simply walk down the steps to take a dip in the Pacific for some world-class snorkeling. 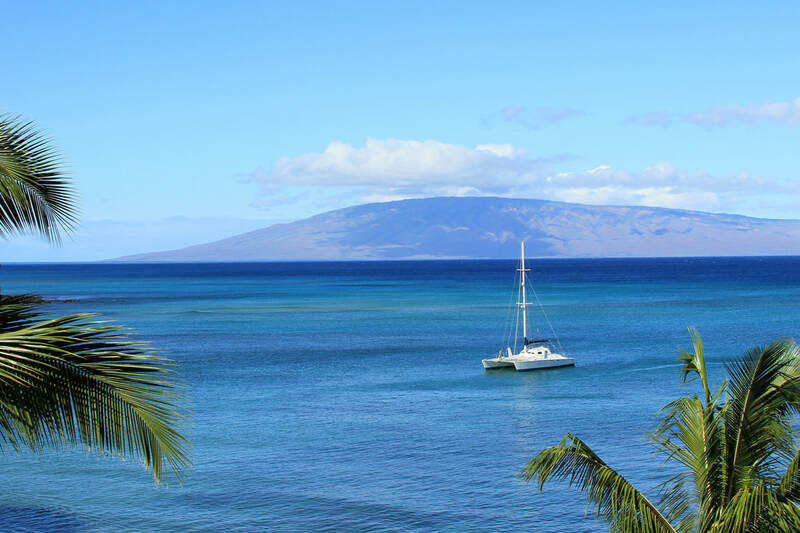 Conveniently located just north of Lahaina, award winning beaches such as D.T. Fleming’s and historic Front Street are less than 20 minutes away not to mention the fantastic weekly local Farmer’s Market just up the road. Finish the day by watching the tropical sunset between the islands of Molokai and Lanai at this one-of-a-kind Maui Vacation Rental. This Hawaiian style condo will put you in the ultimate state of relaxation when you step inside, set down your luggage, and take in the scenic ocean views. Remodeled in June 2012, the makeover included a new kitchen with high-end appliances, and a remodeled bathroom. New carpet & window treatments as of Apr 2014. Our condo is conveniently located next to Honokowai Beach Park, the perfect place to relax and dip your toes in the water. Listen to some Hawaiian slack key guitar on the in house CD player as you catch sunset with a Mai Tai. Buy your local fresh pineapple, veggies or flowers directly across the street at the local Farmer's Market. This unit is located on the 2nd floor with only stairs available to the entrance. Coin Laundry. Full Remodel as of Jan 2016. This 2 bedroom 2 bath, ocean view Maui vacation home is perfect for a family of 4 or 2 couples traveling together. The master bedroom is downstairs with a brand new king bed and there is a queen bed in the loft bedroom upstairs. Tile floors throughout with tiled walk-in showers (no tub). Brand new kitchen with new appliances and granite counter tops. All new furnishings throughout. We offer free local calls in our condo and the resort offers Free Wi-Fi, Free Parking and ocean front pool. Conveniently located to a beach park and Farmer's Market. Coin Laundry. This direct Ocean Front Condo is simply spectacular! Located in Honokowai, just north Kaanapali, this 2 bedroom condo has recently undergone a complete remodel. Features of this stunning remodel include beautiful granite throughout, a wine refrigerator, state of the art appliances, travertine tiled floors, and topped off with a very tasteful decor. The downstairs master bedroom has a large, wall mounted flat screen TV. The loft bedroom contains 2 full size beds and a full bath. Both bathrooms have gorgeous walk-in showers with glass-etched detail (no tubs). Condo has full size oven, toaster oven, and micro wave oven. The owners of this unit opted for outdoor lanai furnishings with plenty of seating in lieu of an indoor set. Enjoy all your meals where you should be.....with an unbelievable Ocean View! The living room is equipped with a plasma TV and DVD player. This condo is conveniently located next to Honokowai Beach Park, the perfect place to relax, take a walk and to dip your toes in the water. 4 people maximum, please. This condo is 851 square feet, with 15 steps up to the condo entry and 15 steps up to the loft.